5. Bingo Night—February 24–Ruann Donnelly and Heather Hoxie reported that they are looking for donations for a silent auction/raffle. They have a list of #s and places for nearby vendors and a letter signed by Principal Hagseth that needs to go to the vendors. It was discussed about whether we could have Bingo Night become a fundraiser for a certain item. Ipads were mentioned at $600 per ipad with the Applecare package. It was also discussed that parents and community are more responsive when there is an item to purchase. They are asking that each grade level or class donate a basket or project for the auction. Angie Karim and Principal Hagseth said they would talk to staff. Presale orders will be brought to a box in the office, per Principal Hagseth’s request. The Food will be Jimmy John’s, pizza, candy, and water. Sandy will be assembling the bulletin board. 6. Movie Night—Cars 2 will be shown on Friday, February 3. Contact Jen Colwell if you would like to help. 7. Science Fair—March 6—Jennifer Yamashiro reported that the demonstrations will be done in Kindergarten and First Grade this week. Entry forms are due 1/23. There will be T-Shirts for those that turn in a form by 2/2. Principal Hagseth will be holding a poster contest for the Science Fair this year, as well. 8. Dinner Night Out—Cyndie Pelto reported that due to Piccolo Mondo being on 11/30 there was no December Dinner Night Out. There will be Red Robin on 1/24 McDonald’s in March, and Oak Hills Brew Pub on April. We are hoping for Golden Valley Brew Pub in May. Fresh Thyme and Grapevine were also mentioned as possible food places to try. 9. 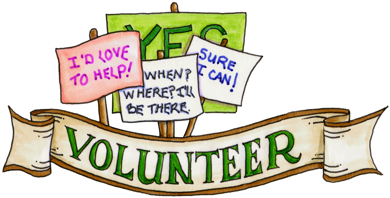 Volunteering—Kathy Moshinsky reported that there will be a work room training at 12:00 pm on January 19. They are in need of a cafeteria worker on Monday and Tuesday every other week. Kathy asked Principal Hagseth if there was protocol for a fire alarm for parents and where do they go if they have kids with them that are students. Hagseth said she would look into that. 10. Jog-A-Thon-Cyndie Pelto reported that they are hoping that the Jog-A-Thon will bring us to our budget goal for next year. This will definitely be our Big Spring Fundraiser. They would like celebrities to come and run or do prizes. We would also like to tell kids a certain amount of money they need to earn. We would like to try prize activites, bot just prizes. Kate Bieren mentioned making it a neighborhood even and involving the community. It was mentioned that it be in the evening or weekend and then have a BBQ. 11. Gift Cards—Amy Hoffert reported that we have made a $4,209.60 profit so far which is what we had done last year by April. 12. Spirit Committee—The January Spirit Day will be Oak Hills colors or Otter wear, This is due to T-Shirts not being ready by the first Spirit Day. This will be On January 20 instead of the 13th as planned.